Students as young as 2 are welcome into the following class progression. 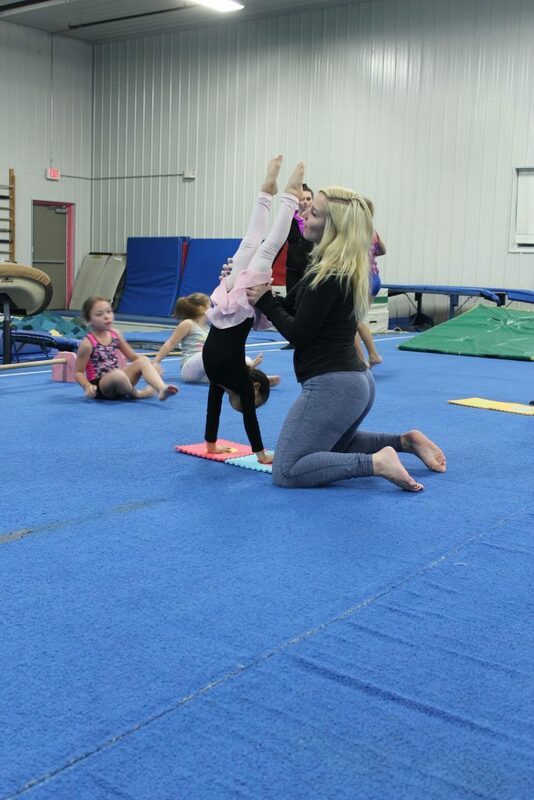 This is the perfect opportunity for you and your little one to bond, while interacting with gymnastics equipment for the first time. 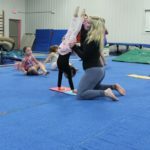 The instructor will take you and your child through different fun activities, and basic gymnastics positions/skills on the bars, beam and floor. This will help your new gymnasts to become comfortable with the equipment and the instructor with you by their side! When your little one begins Caterpillars in the Fall, you will be by their side from September to December. Then from January to May they will complete the class independently. If your little one isn’t ready for Caterpillars in the Fall, No Worries! We will be offering a Spring Caterpillars class that will be available from January to May. Then in the Fall they will complete a full year of Butterflies. The Butterflies class is your child’s chance to do all the activities and skills they learned in Caterpillars with you, but now with their instructor. 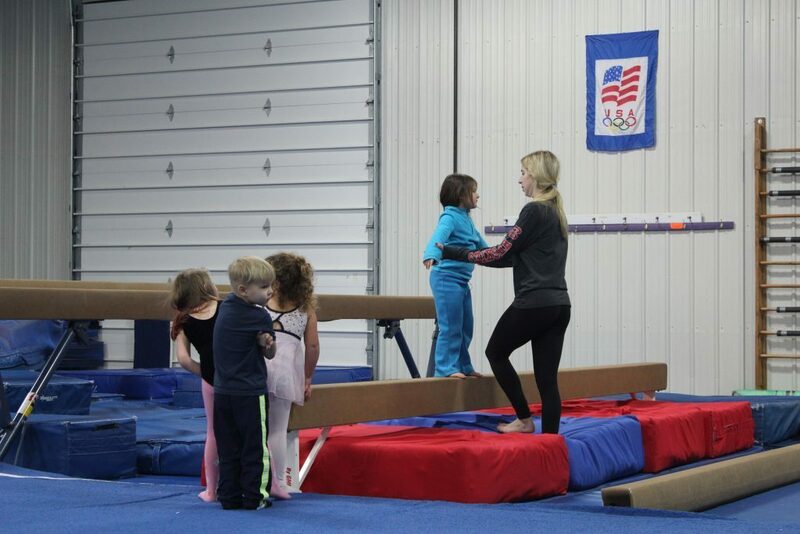 The instructor will continue with progressing your child’s gross movement abilities on the bars, beam and floor. Helping them to build their confidence to try activities and skills on their own, and encourage their curiosity to learn more! 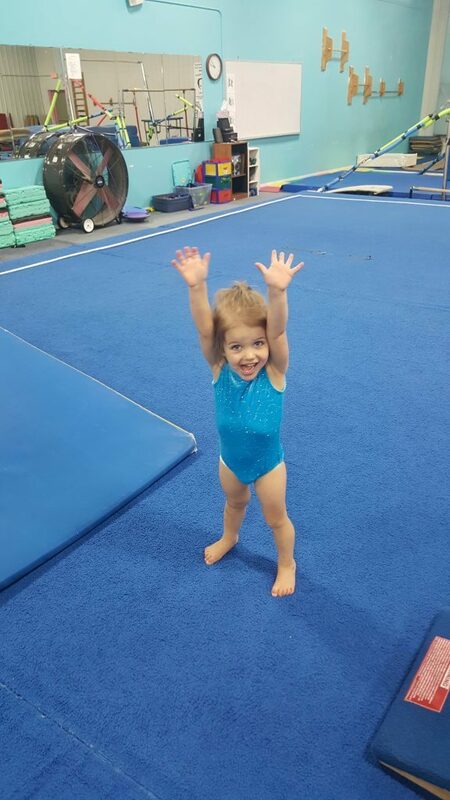 Crickets is for first time gymnasts ages 4 and up. 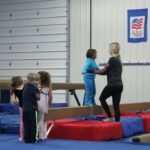 This class will focus on improving gymnast’s gross movement, coordination, and balance on Bars, Beam and Floor. 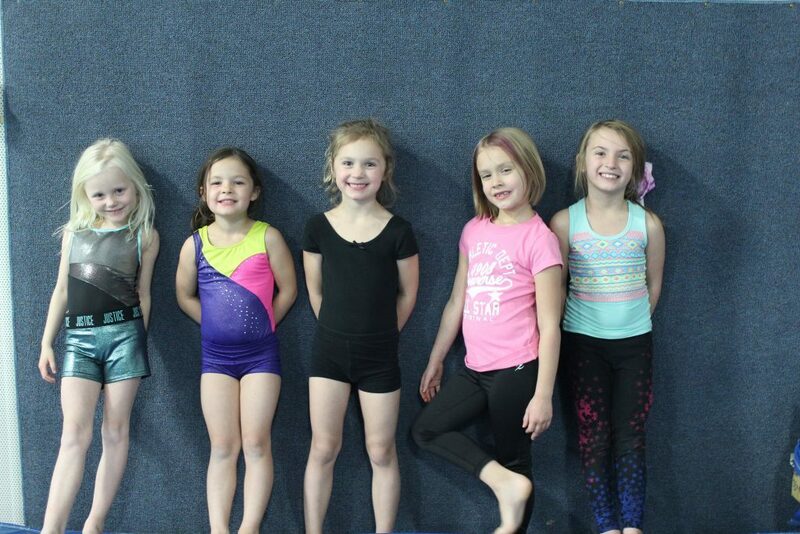 Gymnasts at the end of the year will be proficient in basic skills, like forward rolls, and positions. Level 1 is for second year gymnasts who have demonstrated proficiencies required in Crickets. 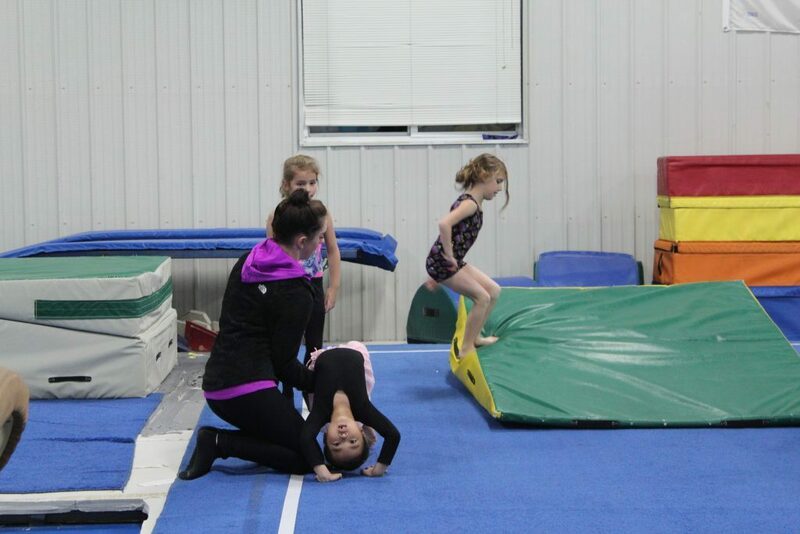 In Level 1, gymnasts will become more independent on skills they have learned in the pass. 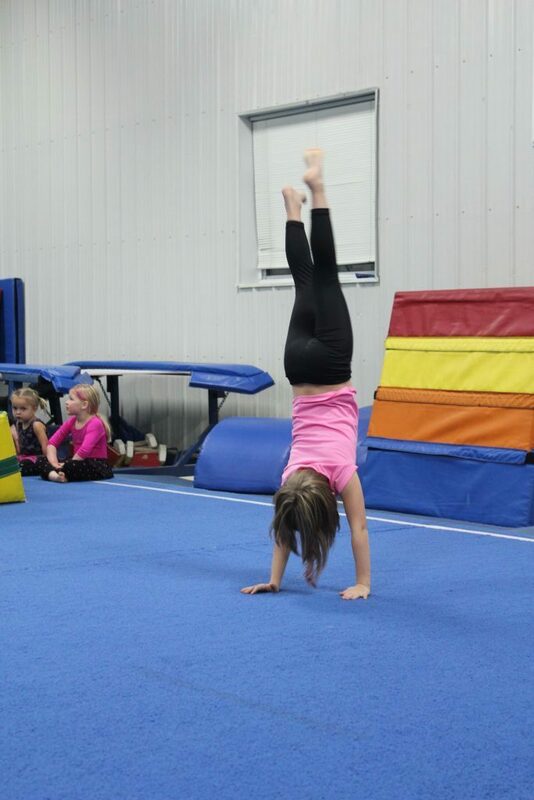 Gymnasts will begin learning basic control over their body through basic flexibility and strength work. This will lead into fine motor movements. Gymnasts in Level 2 will need to have completed Level 1 successfully. 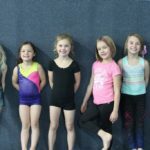 The Level 2 class builds off of skills learned in Level 1 and continues progressing gymnasts to more difficult gymnastics skills. 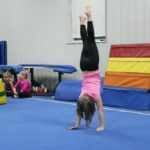 Along with skill work, flexibility and strength will be main focuses for this class to ensure gymnasts can perform the necessary skills by themselves. 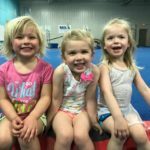 Gymnasts in Level 3 will need to have completed Level 2 successfully, due to skills building off of what is learned in Level 2. Body Awareness is a key focus in Level 3. 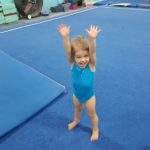 Understanding where the body is in space will help gymnasts to control their body during skills and to know when to engage specific muscles. 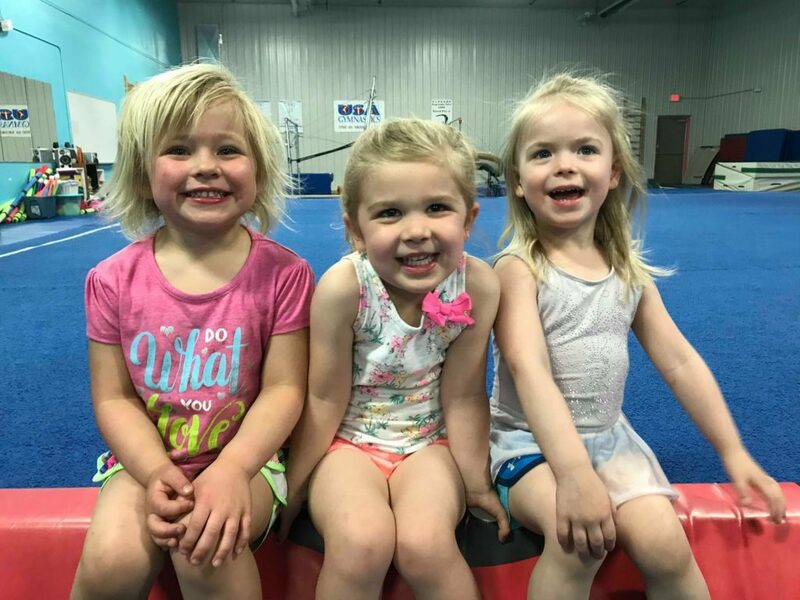 Gymnasts in this class will learn fine and gross movements, flexibility, strength, body awareness and basic to advance gymnastics skills on the vault, bars and floor. Gymnasts must be recommended to participate in Prep-Team and Higher Levels. 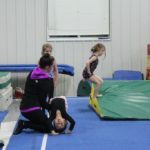 Gymnasts will learn advanced skills on all four events (vault, bars, beam and floor) to prepare for competitive gymnastics.